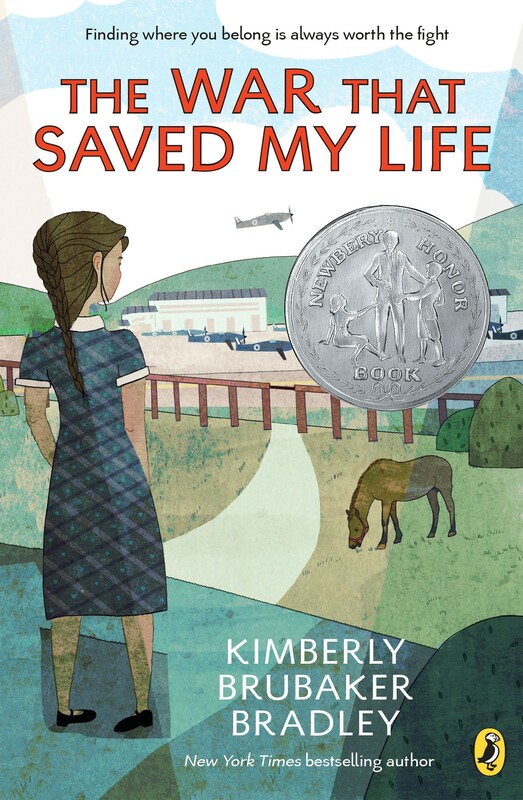 Our top picks of empowering books celebrating adoption and adopted Mighty Girls! Today is National Adoption Day, a day for “celebrating a family for every child.” Around the the world, there are millions of children who have found the home and love they deserve through adoption — and millions of parents who have found joy and love in return! To celebrate all of the Mighty Girl adoptees and the Mighty moms and dads who are raising adopted Mighty Girls, we’re sharing ten of our favorite Mighty Girl books about adoption. Whether you’re explaining the process to a young child or talking about it with a tween or a teen, these books recognize and honor the special relationship that comes through the adoption process. The few highlighted in this post are just a small selection from our collection of Mighty Girl books about adoption. To view the full collection, visit our Adoption book section. "There was you and there was me, waiting for the day our stars would cross and you and I turned into we." 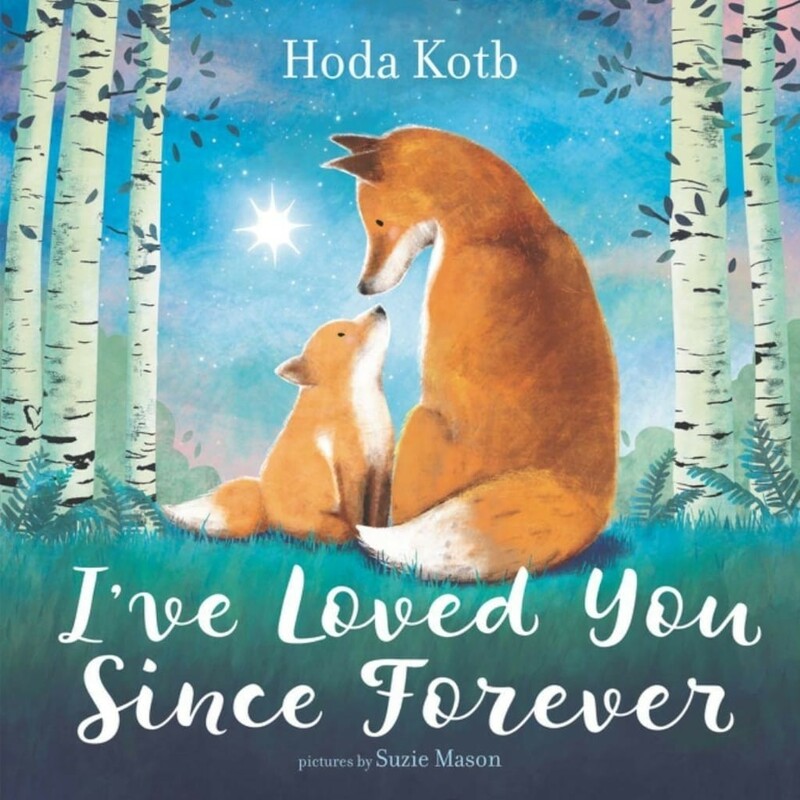 Inspired by her experience adopting a baby girl, Today show co-anchor Hoda Kotb has written a lyrical tribute to parental love. Rather that discuss the mechanics of adoption, Kotb focuses on the joy of creating a new family, however parent and child come together. Full of bright illustrations of mother and baby animals, this book is a celebration of the enduring love of parents and children. A busy little girl gets ready for bedtime by asking her parents for the story of how she was born, including an account of Mom and Dad rushing off to a hospital to meet the daughter are adopting! 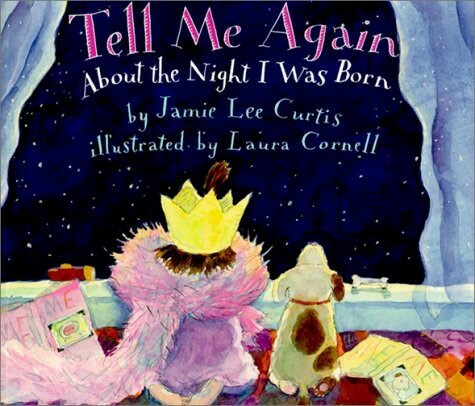 Based on author Jamie Lee Curtis’ family's adoption experience, this story captures the excitement and nerves of parents adopting an infant, and includes a dollop of the challenges that face every first-time parent: the first diaper change, the first bottle, and even worrying about the baby catching a cold. The message that the birth story of an adoptive family is important and special is sure to make you and your daughter smile. It's important to remember that siblings are also often in the picture when an adoption takes place — and that they need to adjust too. 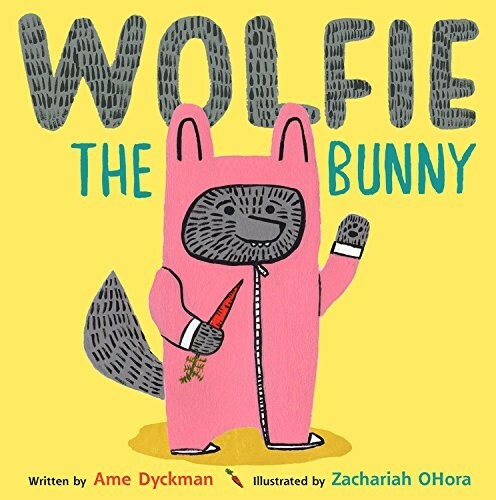 The Bunny family finds a baby on their doorstep and quickly takes him in, but little Dot is the only one who seems to see the truth: her new brother is a wolf in a bunny suit! Wolfie, she keeps insisting, might eat them all up, but her family keeps brushing off her concerns... even thought Wolfie insists on following his new big sister wherever she goes. But when Wolfie gets threatened by a big, scary bear, Dot realizes that she really does love her little brother — and that she'll always come to his rescue. 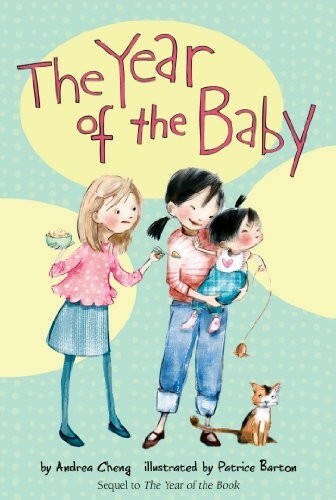 This charming and funny story is an excellent book to share with any child who's about to meet a new sibling. 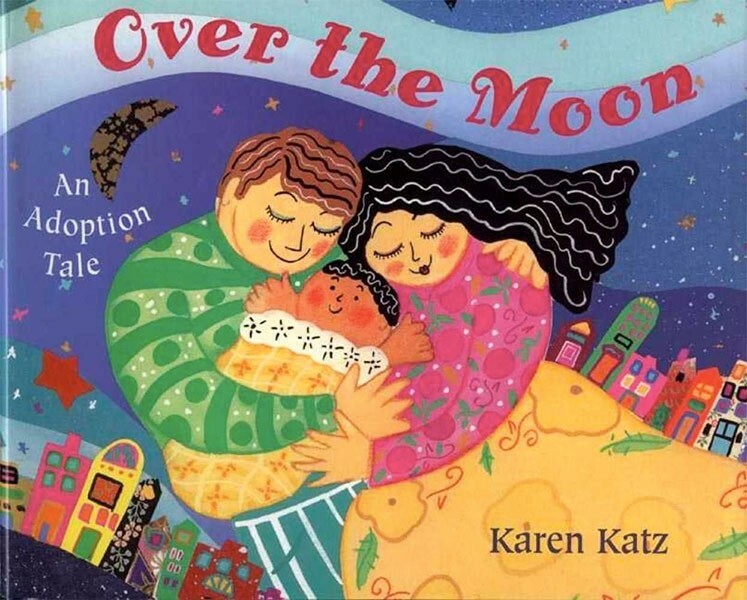 Karen Katz combines her vivid, colorful illustrations with her own family's adoption story in this lovely book about a South American adoption. These expectant parents, who have to tell everyone they know over and over that the baby is coming “very soon,” make a fun parallel to the uncertainty of waiting for labor in other birth stories. This book touches on the reasons that the biological parent has to choose to put her baby up for adoption, and also references foster parents who cared for the little girl until her mother and father arrived. It ends with the most important promise in any adoption: “forever and always.” Its simple language and bright colors will make this a favorite with your children. 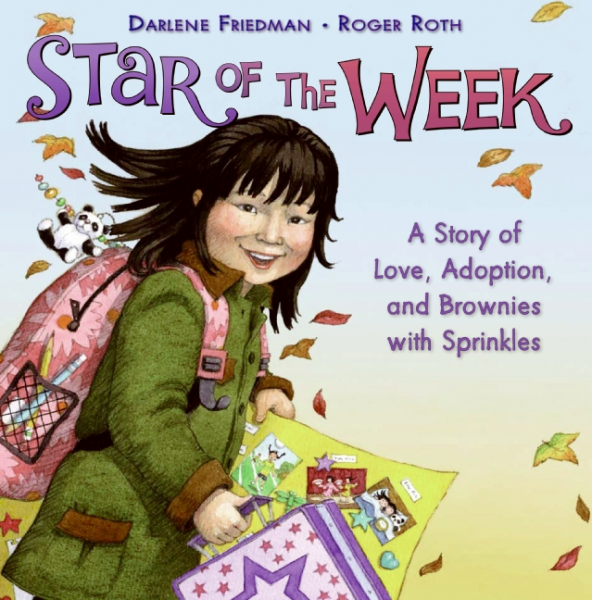 Cassidy-Li is finally getting her turn to be Star of the Week, which means she gets to bring in her favorite treat — brownies — and make a poster all about the people who are important to her. But while she has pictures of many of the people she cares about, there's one that's missing: Cassidy-Li was adopted from China, and she has no picture of her birth parents. So she decides to draw a picture of how she imagines her birth parents — and with her family's support, prepares to talk to her classmates about what it means to be an adopted child. This story is excellent for beginning discussions about different types of families, as well as for tackling the subtle assumptions many of our special occasions make about what a family is. As a three-year-old living in an orphanage in Sierra Leone, Michaela DePrince was called "devil child" because of the vitiligo that marked her skin. One thing gave her hope: a page from a magazine depicting a ballerina on pointe. When she was adopted by an American couple, one of her first requests was to learn to dance — and she has been dancing ever since. Today, DePrince is the the youngest principal dancer ever selected for the Dance Theatre of Harlem and has been featured in multiple documentaries. This engaging story about an adoptive family who supported their daughter's dream, written by DePrince and her mother, Elaine, shows how, together, adoptive families can soar. Older readers interested in DePrince's story can check out her wonderful memoir Taking Flight: From War Orphan to Star Ballerina for age 11 and up. Anna Wang is thrilled when her parents adopt a baby girl from China, and she's ready to be the best big sister she can be. But while Anna thinks her sister is fine, her parents and their doctor are worried because she doesn't seem to want to eat. The lightbulb moment comes when Anna's friend Camille distracts her with a song and gets a few bites of baby food in. Soon Anna and her friends are conducting a science experiment using both Chinese and American songs (with silent meals as a control, of course.) This sweet story of a devoted sister who's ready to use the scientific method to help ease her adopted sister's transition includes a pronunciation guide for several Chinese phrases, plus a recipe for Grandma's bao zi. 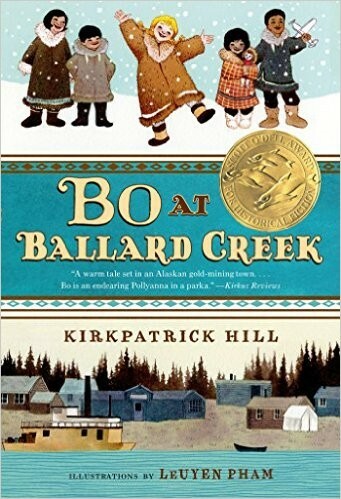 Jack is a camp cook and Arvid is a blacksmith in an Alaskan mining community in 1924; they're the last people you could imagine taking in an orphaned girl. And yet, when a baby is about to be sent to an orphanage, the two men adopt Bo and raise her as their own — with plenty of help from neighbors like Big Annie (and her sled dogs) and Milo who runs the Roadhouse. Bo's life roaming the countryside, helping pan for gold, and pitching in with the work of a mining camp may be a bit different from what she might have done if she'd gone to the orphanage... but no one in her immediate or extended adoptive family would have it any other way! 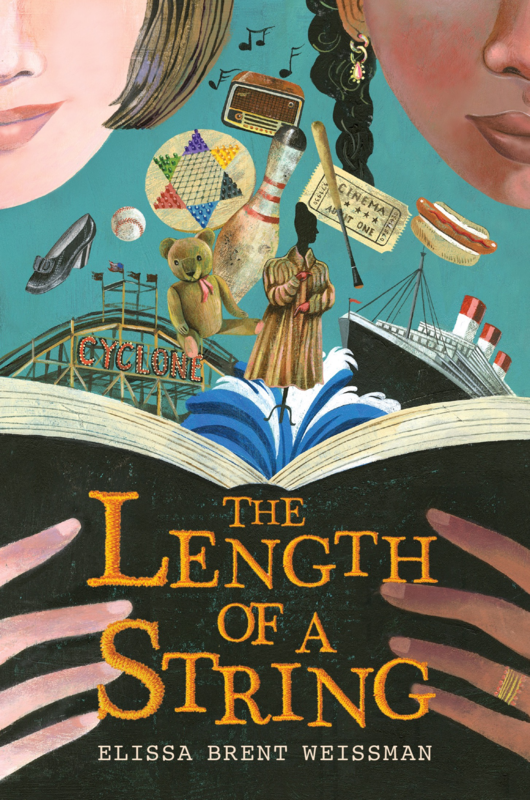 This lively and fun story is sure to be a hit with middle-grade readers. Hollis Woods has been in and out of many foster homes. Her last foster family, the Regans, could have given her a permanent home, but she ran away after becoming convinced that she had ruined her opportunity. Her new foster mother, the eccentric elderly artist Josie, seems a perfect match for the equally artistic Hollis — but then Josie starts succumbing to dementia. Hollis is determined not to let Social Services find out, which would leave Hollis without home and Josie without a caretaker, so she decides to run away one more time — and take Josie with her. 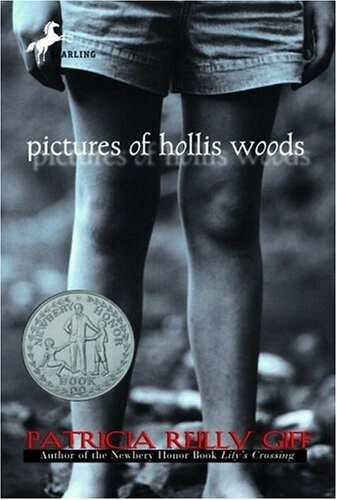 This sensitive, nuanced portrayal of a girl seeking the “perfect family” is told through a combination of scenes in the present and Hollis’ drawings representing memories of the past, and is a great way to introduce a discussion of adoption as an older child, tween or teen. After years bouncing between foster homes — so many that they can't remember where they came from — Flora and her brother Julian have been adopted by Emily. But after so many placements gone wrong, Flora has a hard time believing in forever. 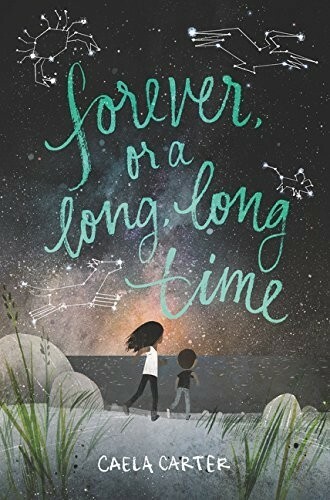 Flora isn't ready to use the word mother, instead thinking of Emily as her Person, and every time something goes wrong — like when Julian hoards food or Flora struggles in fourth grade — she's afraid that they'll be sent to yet another home. So Emily decides to take the siblings on a quest to find where they began... and hopefully reassure them that this family really can be forever. Carter gently but honestly reveals the trauma that lingers in kids who have struggled in the foster care system, while still striking an optimistic tone that all children can eventually find their Person. Katie and Ana are the kind of friends who share everything with each other. But there are some things you can't even share with your best friend. Katie has always known she was adopted, but recently she's been wondering about her birth parents and her birthplace in Russia. And, she worries that admitting this might mess up the perfect family she has now. Meanwhile, Ana's family is falling apart after her father suddenly leaves. When Ana's Babushka arrives, she resents her imperious ways and unfamiliar foods — and Katie's quick connection with her. Misunderstandings start building, and soon the friendship between the girls becomes strained. 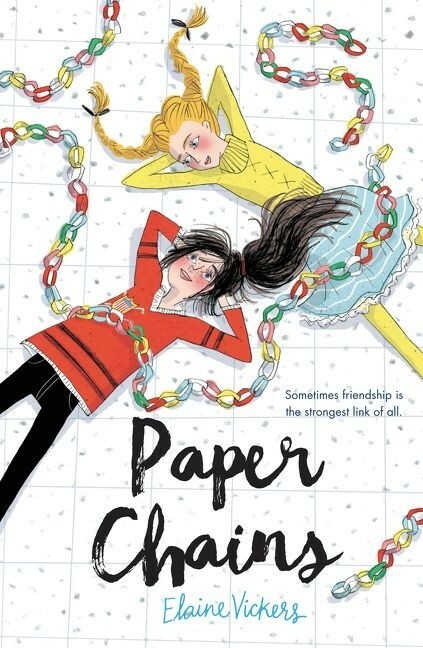 Before they lose each other, they must work through the tangles of secrets to the shining truth underneath: friendship, just like family, is worth fighting for. 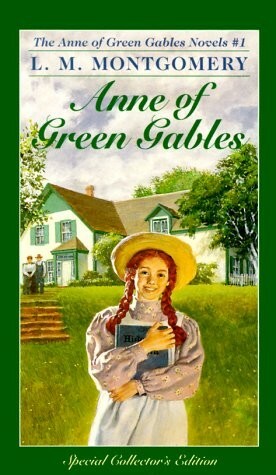 When Anne Shirley comes to Avonlea on Prince Edward Island, sister and brother Marilla and Matthew Cuthbert are dismayed: they had requested an orphan boy to help with the farm work, not a girl. Anne is heartbroken, but she hopes that, if she just manages to keep a lid on her temper and her exuberant imagination, she can convince them to let her stay. And it turns out that Anne's creativity, energy, and love are just what Marilla and Matthew needed! This story has been a beloved classic since the day it was published, and its depiction of a loving adoptive family has been a favorite for generations of readers. Most importantly, this charming story shows that adopted children provide as much love and support to their families as their families provide to them. Imani can't figure out how to tell her parents what she really wants as a bat mitzvah gift: to learn more about her birth parents. She adores her family, but as the only black person in her family and community, she feels out of place and wonders where she came from. Then she discovers her great-grandma Anna's old journal — a diary from 1941, when then 12-year-old Anna fled Nazi-occupied Luxembourg, alone, for Brooklyn, New York. As Imani reads the diary, she develops a new perspective on family — one that helps her understand what she really needs to know about her past. Thoughtful and full of heart, this story celebrates the many things other than blood that connect people. Ada's abusive mother considers her clubbed foot a humiliation and has kept her from public view her entire life, but when Ada’s little brother is shipped out of London to escape the dangers of World War II, Ada dares to sneak out and join him. Susan Smith, a recluse who’s forced to take the siblings in, doesn’t know anything about children — especially girls who flinch at every mistake. But as the pair grow closer, perhaps Ada has finally found someone that will love her just as she is. Ada's story then continues seamlessly in the sequel The War I Finally Won: when Ada learns that her mother has been killed in one of the bombings and has feels mixed emotions about the news. She's relieved that Susan can become her legal guardian and she won't have to return to suffer more abuse, but reluctant to trust that Susan will always be there. As the war goes on, a new friend helps Ada realize that opening up to others can be positive — and when tragedy strikes, Ada draws on the same determination that helped her survive all these years in order to help those she loves. 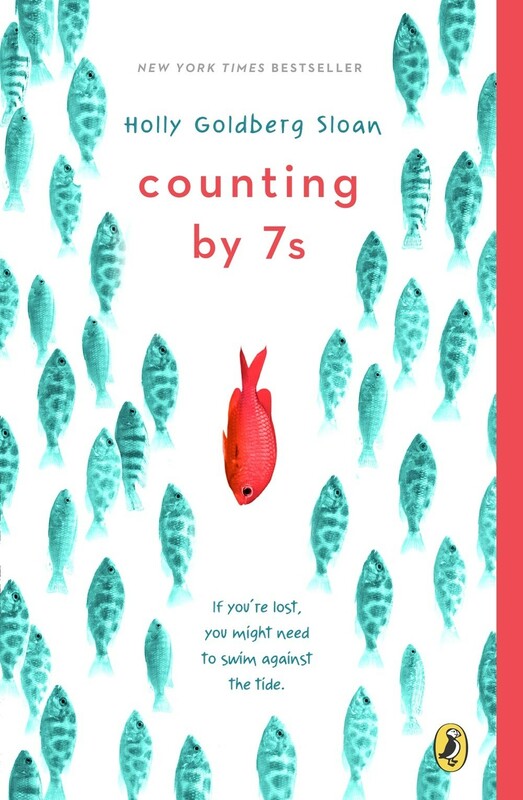 Willow is an eccentric genius of a child, but her accepting adoptive parents have always given her space to be whoever she is — even when she's talking about rare skin conditions or focusing on multiples of seven. In fact, her parents are pretty well the only people she engages with at all. 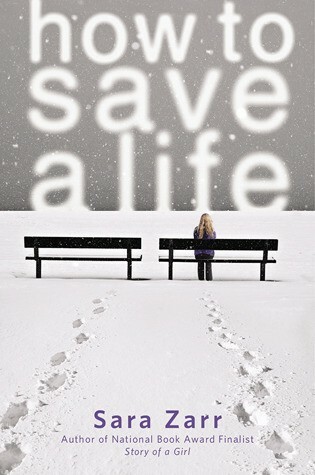 But when they are killed in a car crash, Willow's life is turned upside down. She begins to fear that her only choice will be life in a group home, where her idiosyncrasies and brilliance will be considered disadvantages, not traits to be admired and understood. However, when her sort-of-friend Mai's mother takes Willow in, she begins to see a possibility of connecting to more people in the world. Can Willow find family once again? Complex and appealing characters make this book a unique testament to the power of very different people to come together as a family. Paralympian Tatyana McFadden writes a touching story about her real-life journey from a Russian orphanage to the Olympic stage. As a child born with spina bifida, McFadden received little medical care for the first three years of her life, and her adoptive parents were told not to expect her to live for long. They refused to believe it, and soon McFadden was not only thriving, she was also breaking athletic records in wheelchair racing! 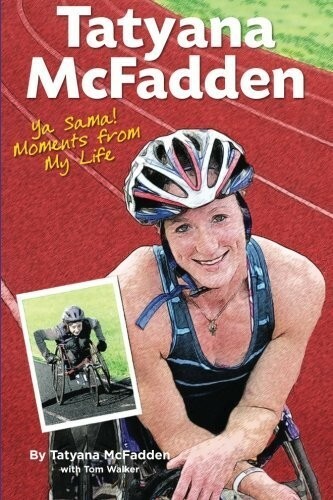 Today, McFadden is a ten-time summer Paralympic medalist (plus one additional medal from the winter Paralympic games!) and an activist who is working to raise awareness of the inequity between able-bodied and para-athletic sports. McFadden's story provides a unique look at how her international adoption dramatically changed her life, and at how her can-do spirit inspired her adoptive parents to see the world in a new way. Jill is still wrestling with grief after her father’s death, and has pushed away nearly everyone in her life, when her mother suddenly declares that she’s adopting a baby. Jill is furious and hurt — is her mother just replacing a lost family member with a new one? Mandy is pregnant and knows from personal experience what it’s like to be raised by a mother who didn’t mean to have a baby. She’s determined to make sure that her child grows up in a better situation. 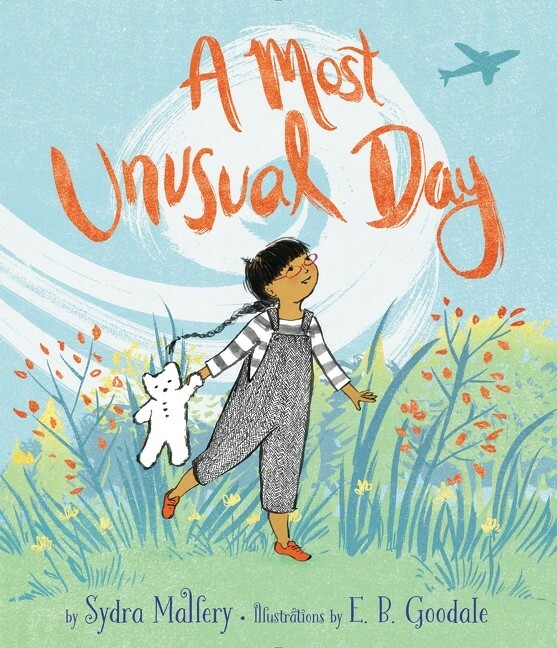 This touching story about loss, adoption, and what it means to find a home captures the emotional complexity of the choices of all the parties involved, as well as the importance of being ready for the unexpected moments in life. Grace was adopted at birth and grew up as an only child — but when she puts her own child up for adoption after an unplanned pregnancy, she feels compelled to find out more about her biological family. To her surprise, she discovers that she is actually a middle child, born between Joaquin, a nearly 18-year-old who has struggled through over a dozen failed foster care placements, and Maya, who was adopted as an infant by a wealthy family. The siblings bond surprisingly quickly over their similarities, but each is hiding secrets about their past, and Grace is hurt to discover that neither of her newfound siblings are interested in joining her to learn more about the mother she never knew. But no matter how her journey ends, Grace has learned one important thing: there are many ways to be family. 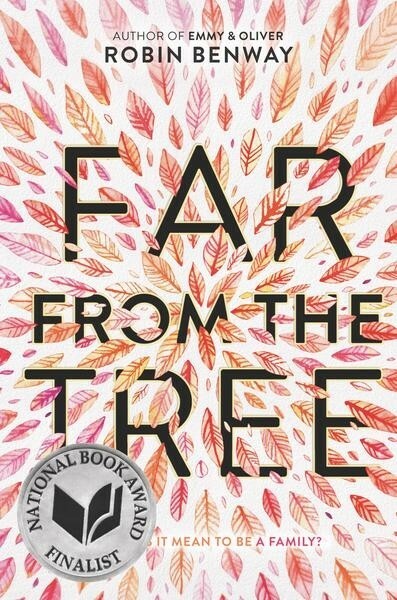 In turn, funny, heartfelt, and heart-wrenching, this insightful novel, which was awarded the 2017 National Book Award for Young Adult Literature, explores questions of identity faced by many adopted children, while Grace's open-minded and supportive parents show the strength of an adoptive family. Adoption, like parenting a biological child, has its ups and downs, its challenges and its joys. On this special day, we celebrate all the parents who have shown a child that genetics and family do not have to be the same. May your lives always be full of love. For more Mighty Girl books about adoption, visit our Adoption section. If you’re an adoptive parent or if you’re considering adopting, check out our section of parenting books about adoption. We particularly recommend the book Attaching in Adoption: Practical Tools for Today’s Parents. If you have, or are going to, adopt a preschool-aged child, the book Instant Mom chronicles her experience of adopting a 3-year-old, is an inspiring, funny, and touching read. When your child’s story doesn’t match the nuclear family model, it can be hard to find resources about conception, pregnancy, and birth to share with them. A Mighty Girl particularly recommends the book What Makes A Baby for children aged 3 - 8. The aim of this book is to provide a general introduction to these concepts in an open-ended way that allows parents to tell their own child’s story, whether it involves adoption, fertility treatments, or surrogacy. The excellent books It’s Not the Stork! (age 4 - 7) and It’s So Amazing (age 6 - 9), also explicitly discuss adoption as a way to build a family. Parents of internationally adopted children may want to check out Somewhere Between, a documentary that follows four teen girls who were adopted from China into US homes. They discuss issues of belonging, race, and gender in a way that shows how universal these feelings can be. Somewhere Between is also suitable viewing for girls aged 12 and up.